Just be flexible! 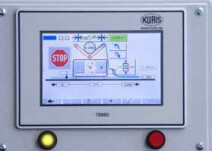 Powerful and fully automatic machine system. 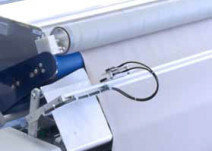 The Kuris Shuttle spreading machine suits perfectly for difficult, smooth materials and/or even badly rolled material bars with different surfaces. 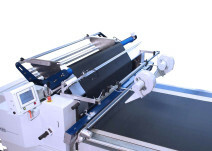 The new deviating roller system of the driven cradle or material bar ensures an excellent quality in spreading. 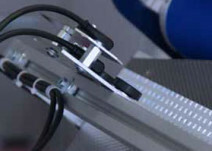 Even through fully automatic spreading of tension-sensitive materials excellent spreading results will be achieved. 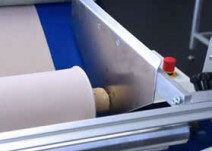 The precise and regulated prefeed material roll will exactly suit the required spreading speed. 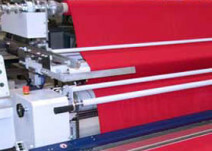 The semi or fully automatic unthreading/threading of the fabric will reduce essentially the set-up time. 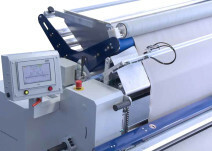 Many spreading operations as various positioning and cutting points, quantity of layers, zig-zag spreading programs as well as numerous custom-made parameters can be individually programmed. 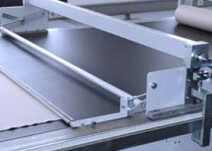 Robust cabinet-housing control with powder coating surface.